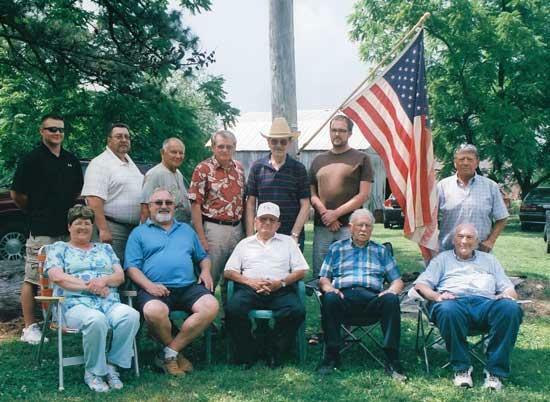 Charlie Mooneyham, seated, center, is pictured at a family reunion the Sunday before Memorial Day 2010. Standing: Jon Roig (active duty Marine) Terry Wilson, Ray Bosworth, Leo Haley, Charles Davenport, Jared Phillips, Gerald Mooneyham (brother) Ann Wilson, Ron Tennant, Charlie L. Mooneyham ([career] brother) Lonnie Mayne Mooneyham, Ralph Reed. The death of Charlie Luther Mooneyham of the Iconium Community came as a shock to those who were getting ready for the annual Veterans Day activities at Cannon County High School Friday. Retired Colonel Jim Stone was talking with Charlie in a classroom, setting up for a display of American Military men, when the USAF veteran just collapsed of an apparent heart attack. The Cannon County EMS was called to the scene and lifeflight was called, but never used. Charlie was a humble man and was well liked by everyone. What is ironic or poetic, whichever way a person looks at it, is the fact that Charlie was one of the organizers of the Veterans’ Day activities in Cannon County. Eighteen years ago when it started it was held on the square of the courthouse. Charlie, who at that time was a cook for the Alvin C. York Veterans Hospital in Murfreesboro, was responsible for feeding those who came by to celebrate the veterans. Those of us who knew him remember the good old-fashion stew that he would cook on those cold November days. Charlie served for almost 21 years in the United States Air Force and had been in Korea, Vietnam and the Dominican Republic. He came home and went to work for the Veteran's hospital and retired from there after 18 years as the chief chef. Charlie was the son of Charlie Herbert Mooneyham and Annie Belle Simmons Mooneyham. Charlie had been married to Racine Thomas Mooneyham (surviving wife) for 57 years and had a son and daughter: Charles Steven Mooneyham and Debora Davis. Charlie was preceded in death by his son, and 3 brothers, Alton (Jimmy), Don and Bobby. He is survived by two brothers Gerald (Manchester) and Vernon (Eagleville) and a sister Micki Vinson. His only grandson Tim Bell also survives. Tim and his wife Diane Webb Bell have two sons, Bryson and Nolan Bell of Woodbury. Charlie Luther Mooneyham was taken by the Woodbury Funeral Home; his funeral will be Monday the 15th, with visitation on the 14th. He will be greatly missed by those who knew him and the veterans he served with on the different veterans committees. We only had the honor of knowing Bro. Luther for a few short years but this man was a wonderful God fearing Christian man with a beautiful heart. His soul is resting in peace now! God Bless His family and friends. Luther was a wonderful man. He was not only a Godly man, but a humble one as well. Our family will not be the same without him. He always had kind words to say and smiles to share everytime that we saw him. 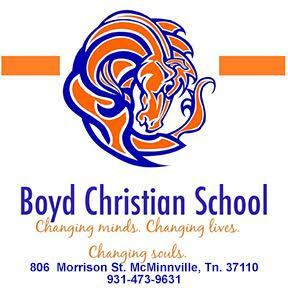 Our prayers and thought go out to the rest of the family. We love you all. Luther was a wonderful man,I went to church with Mr. Mooneyham and he was a very sweet man. My thoughts and prayers are with the family of Mr. Luther Mooneyham. He died still serving his country and his county, honoring Veterans. I knew luther for many yrs. picked berries wity him. always a good man. he will be missed by all who knew him.Miss Micky and the rest of family and friends,my heart goes out to all of you. So happy for him that he passed away while doing something that held such meaning for him. He is the epitome of what it means to be a veteran. Godspeed Mr. Mooneyham, your family must be proud of you and your service. Luther will be missed terribly. There was never a time that he wasn't smiling. He loved the lord, his country, and his family more than anything. It will be an honor to spend eternity with this wonderful soul.